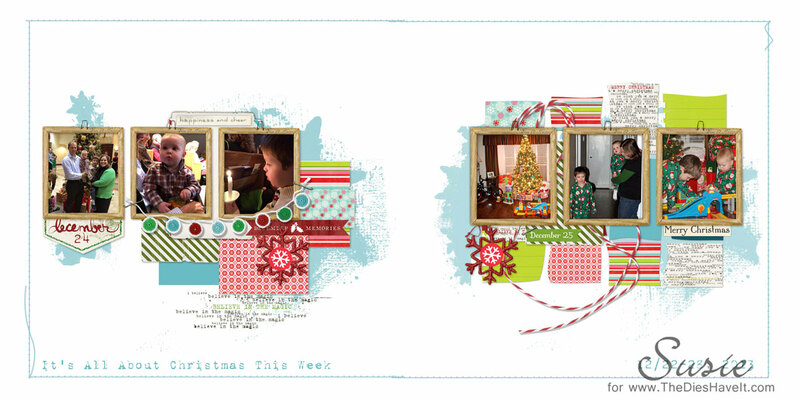 Today and tomorrow I'll be sharing a layout each day from my current Project Life books. I've already had my 2013 book printed and of course I am just now starting on 2014. So here is the next to the last spread in my 2013 book. Christmas was wonderfully sweet with my two little grandsons and I loved picking just a few pictures to represent the week. Can't wait to show you my first layout from 2014. Stay tuned for that one tomorrow. I hope I'll see you then.